U.S ambassador to the UN says White House warning on Syria chemical attack is also aimed at Russia and Iran. 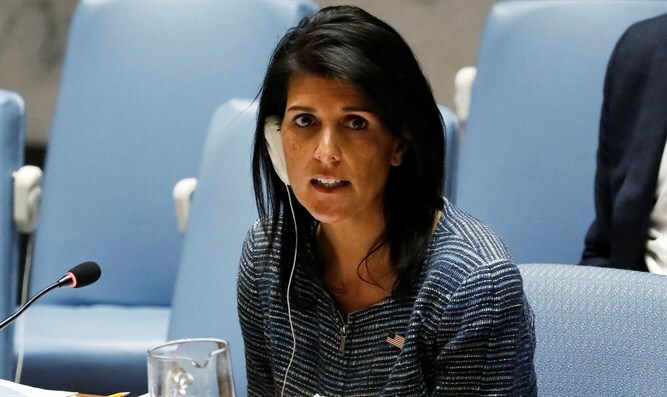 A warning from the White House to Syrian President Bashar Al-Assad about another possible chemical weapons attack was also aimed at Russia and Iran, the U.S ambassador to the United Nations Nikki Haley said Tuesday, according to The Associated Press. On Monday, the White House said that the Assad regime is preparing for a massive chemical weapons attack aimed at civilians, warning the Syrian President that a new chemical weapons attack would not go unpunished. White House press secretary Sean Spicer said U.S. intelligence agencies have evidence suggesting the Syrian government is preparing for a large-scale chemical attack, similar to the strike near the city of Idlib in April which left dozens dead and hundreds more with serious injuries. Earlier on Tuesday the Pentagon said it detected “active preparations” by Syria for a chemical weapons attack, giving weight to the White House statement. A Pentagon spokesman, Navy Capt. Jeff Davis, said the U.S. had seen “activity” at Shayrat airfield that “indicated active preparations for chemical weapons use.” That is the same base from which the Syrian air force launched the attack in April. Syria denied the charge.